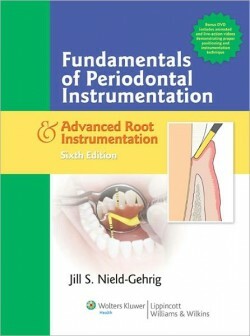 Now in full color, with over 1,400 photographs and illustrations, the Sixth Edition of this market-leading text is a step-by-step, highly visual guide to the how-to’s of periodontal instrumentation. It takes students from basic skills such as patient positioning, intraoral finger rests, and basic instrumentation, all the way to advanced techniques such as assessment of periodontal patients and instrumentation of multirooted teeth, root concavities, and furcation areas. Critical thinking activities and patient cases promote application of concepts and problem-solving skills. A brand-new bonus DVD packaged with this edition includes video clips demonstrating the techniques covered in the book.